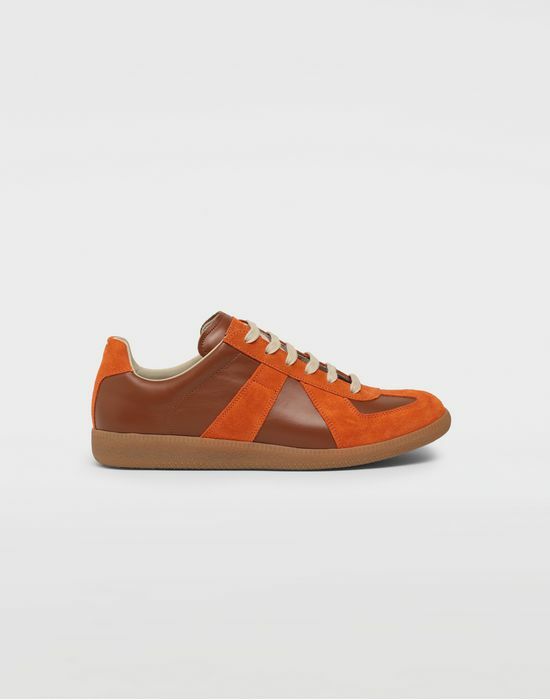 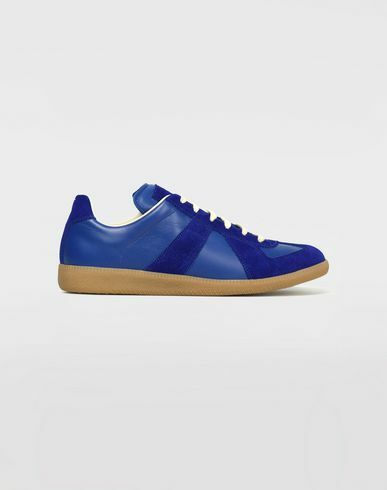 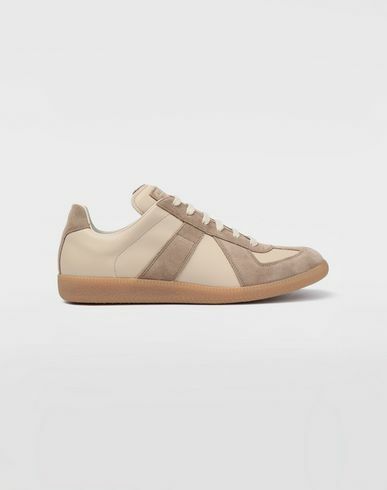 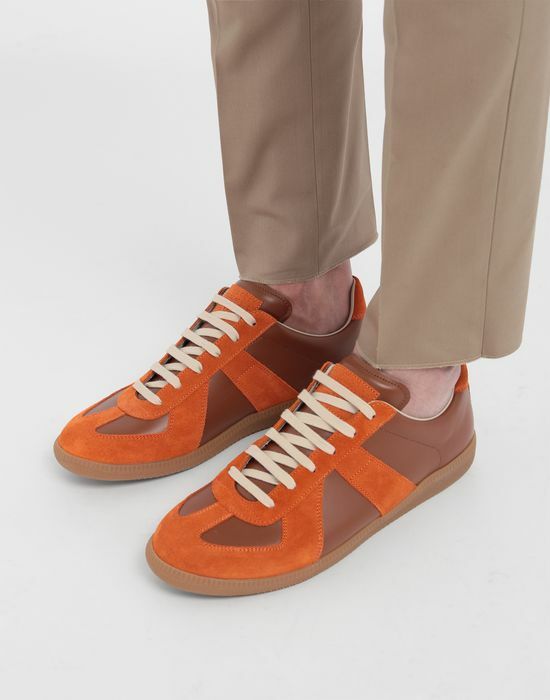 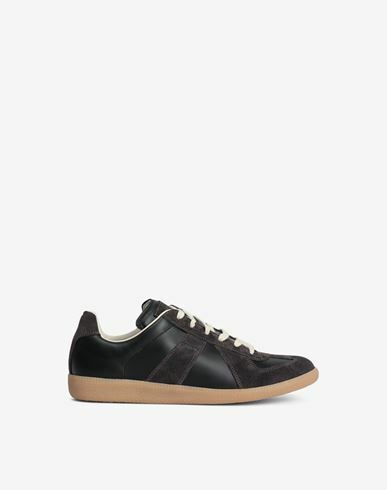 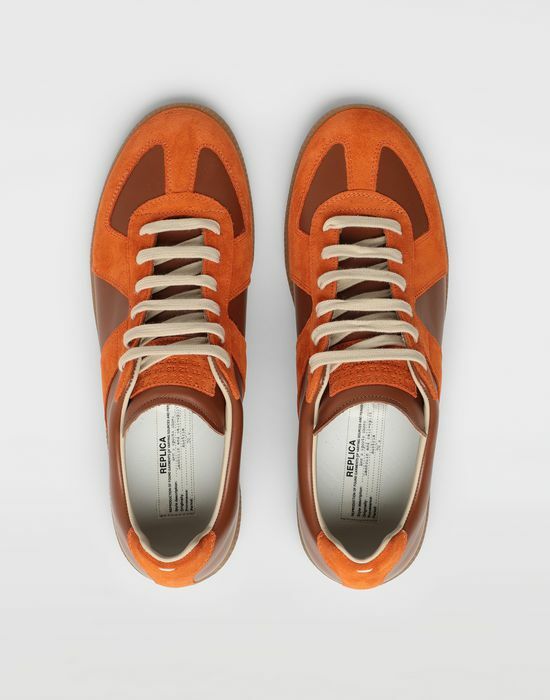 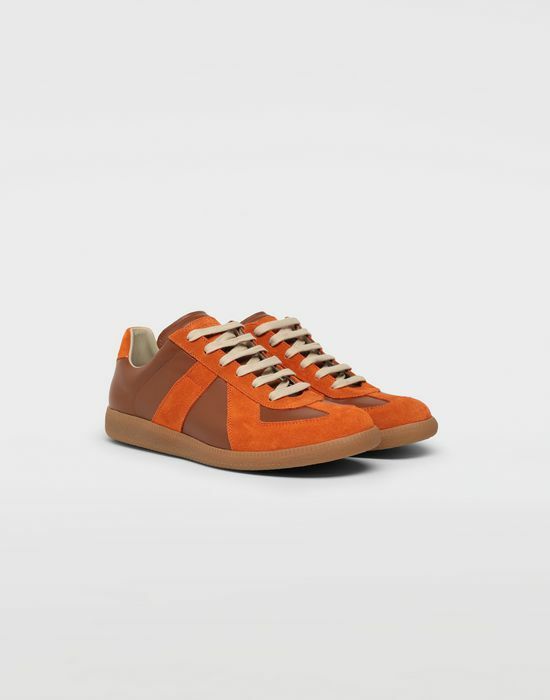 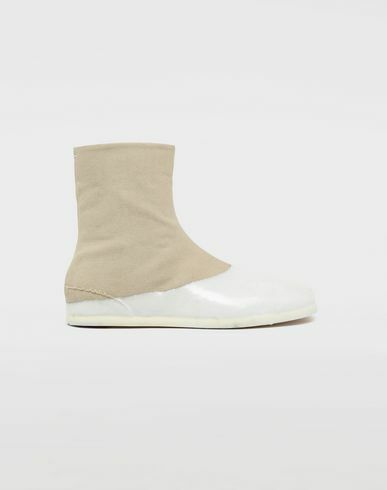 A rendtion of the Maison's iconic Replica sneakers in a mix of calfskin leather and suede. 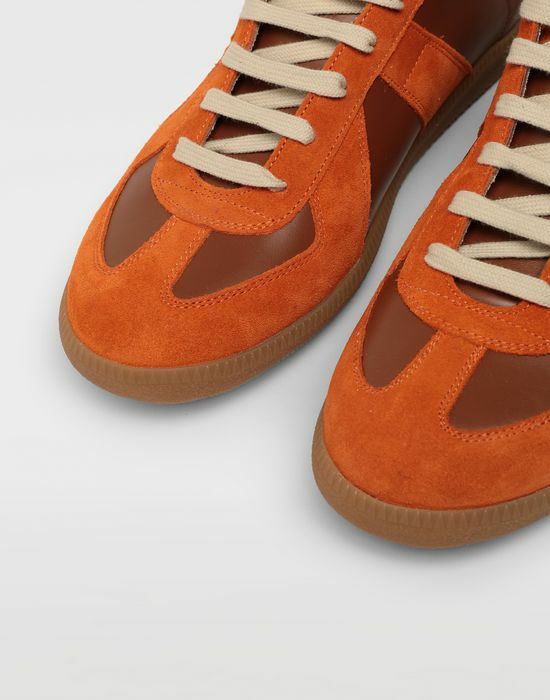 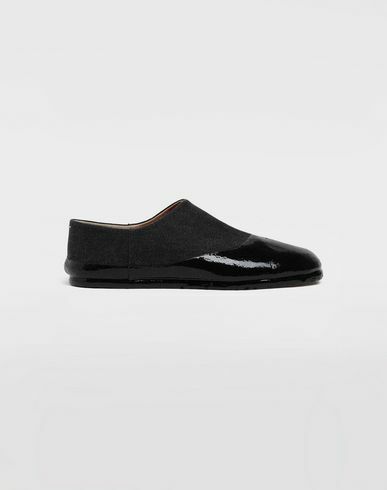 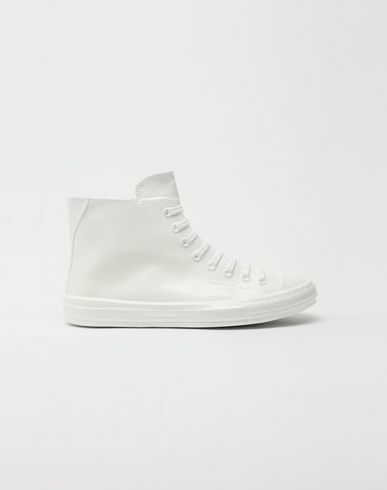 It is finished with a single upper lace fastening and rubber soles. 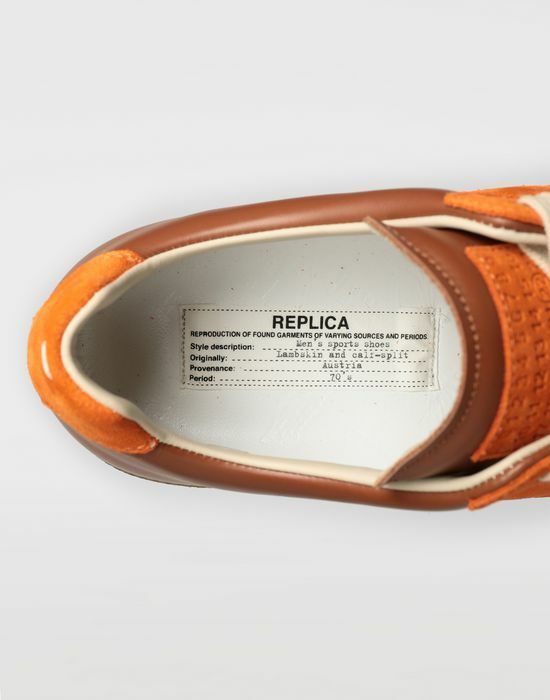 The Maison's iconic straight white stitch is marked on the back.